We had dinner with our nephews Stephen, Francesco and Doug. They put together a great meal but I loved the pasta most. I think maybe my niece Danielle had something to do with this too. They used a Giada DiLaurentis recipe. So here it is – delicious. I used goat cheese instead of gorgonzola. Giada said that would be OK.
Start a pot of boiling water for the pasta. 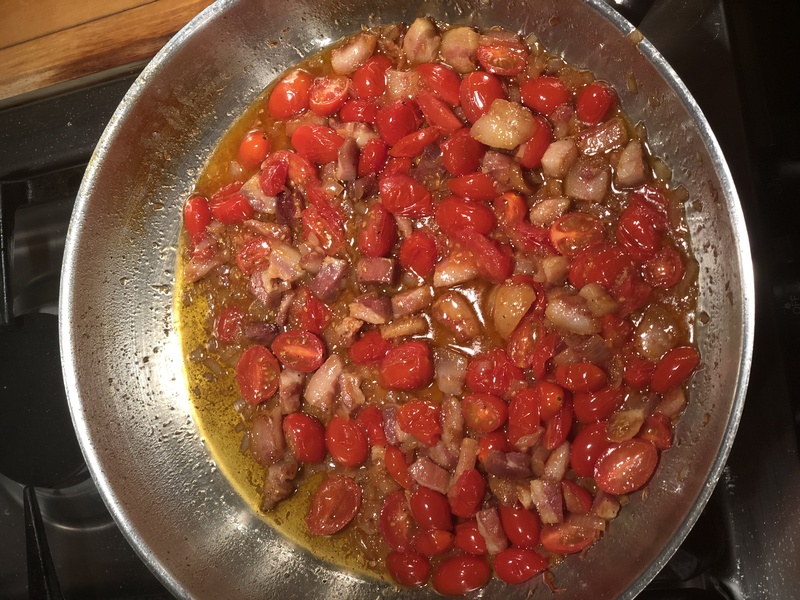 Add the pancetta and olive oil to a large skillet over medium-high heat. Cook, stirring often until the pancetta is crispy, about 8 minutes. Add the shallots and cook another minute until fragrant. 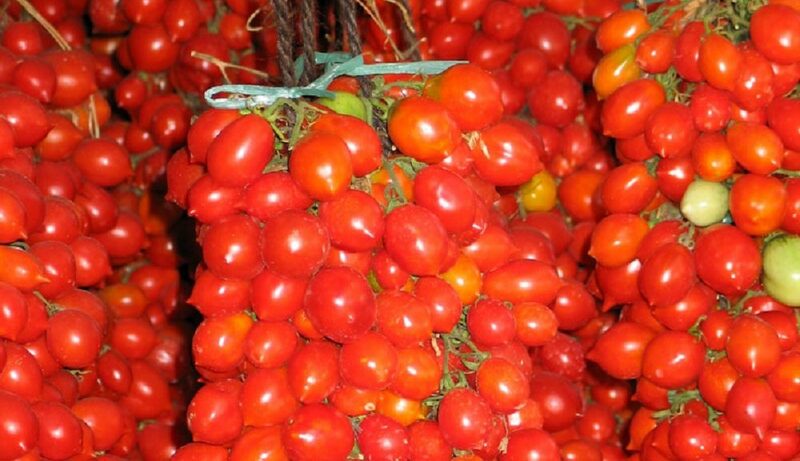 Add the tomatoes and season with salt. Cook, stirring often until the tomatoes begin to soften, about 4 minutes. 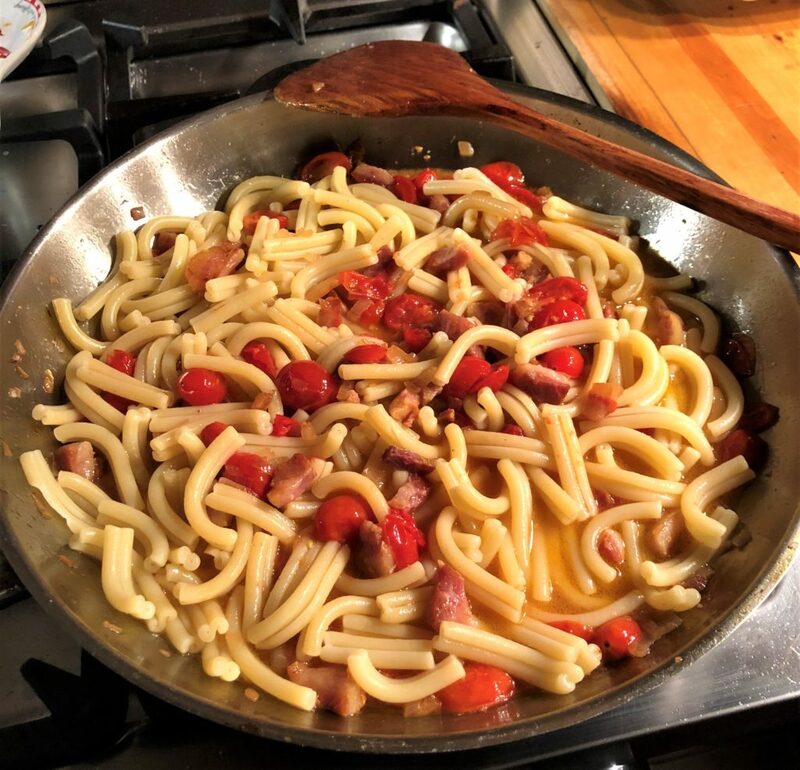 When the pasta is almost done (reserve 1 1/2 cups of pasta water) add it to the skillet along with 1/2 cup of the pasta water. Scatter the cheese over the pasta and stir to combine. 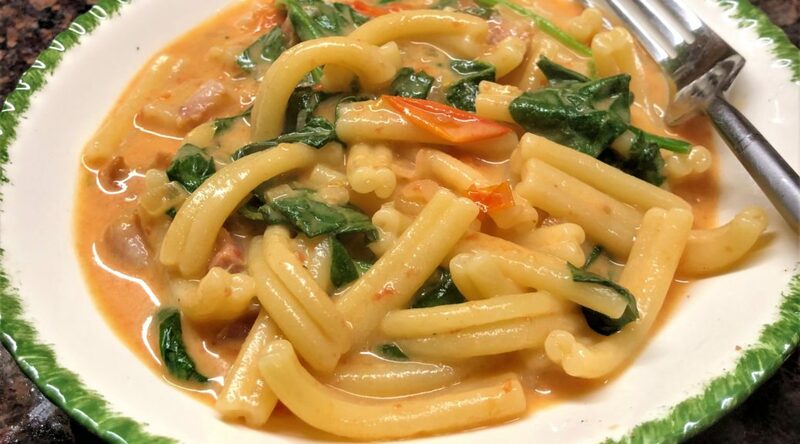 Continue to stir, adding pasta water as needed, until a light creamy sauce is formed. Add the spinach and toss until it wilts. This is a quick sauce and should be ready in about the time it takes to make the pasta. 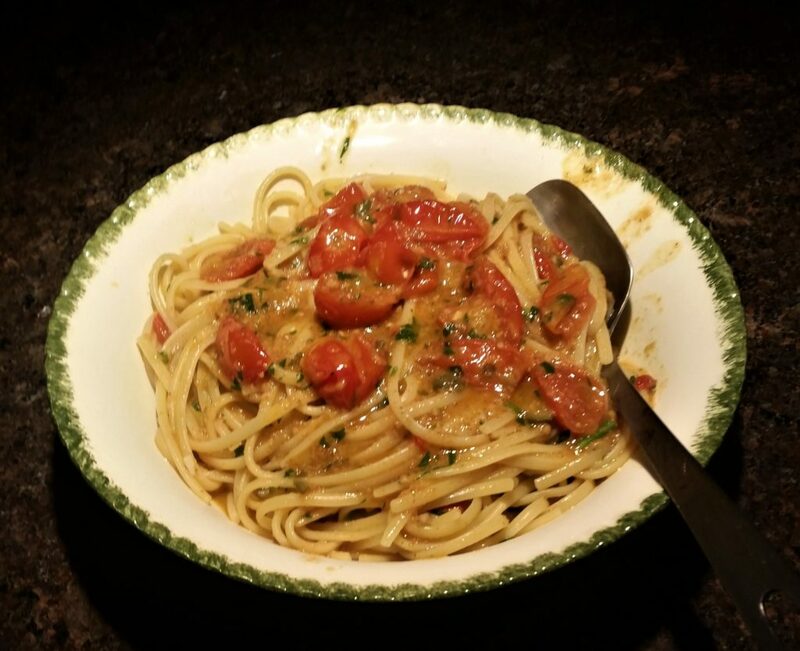 Don’t overcook it and keep the fresh taste of the tomatoes. 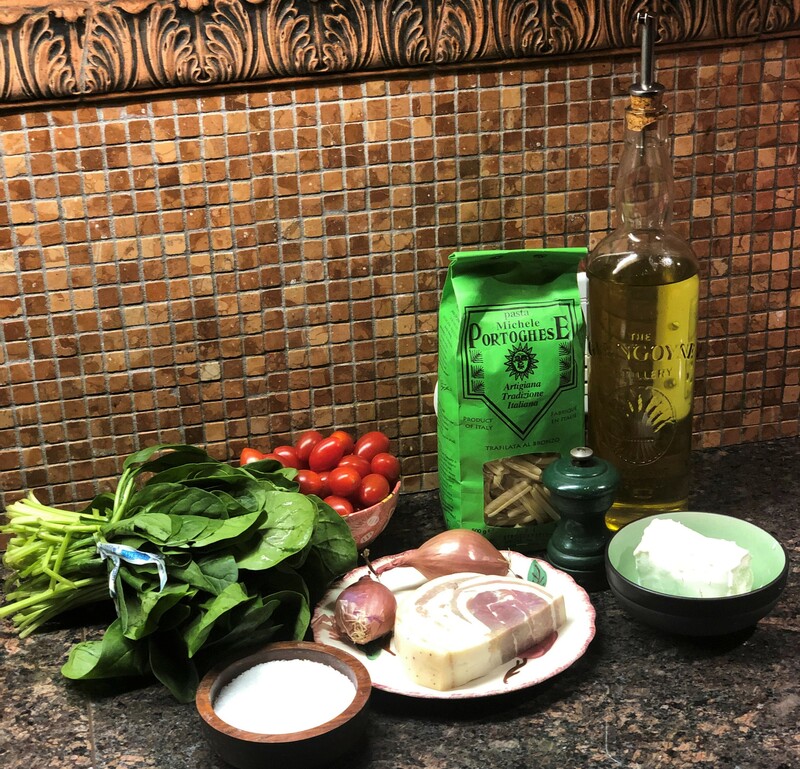 Simple ingredients and yet the result is a complex flavor. 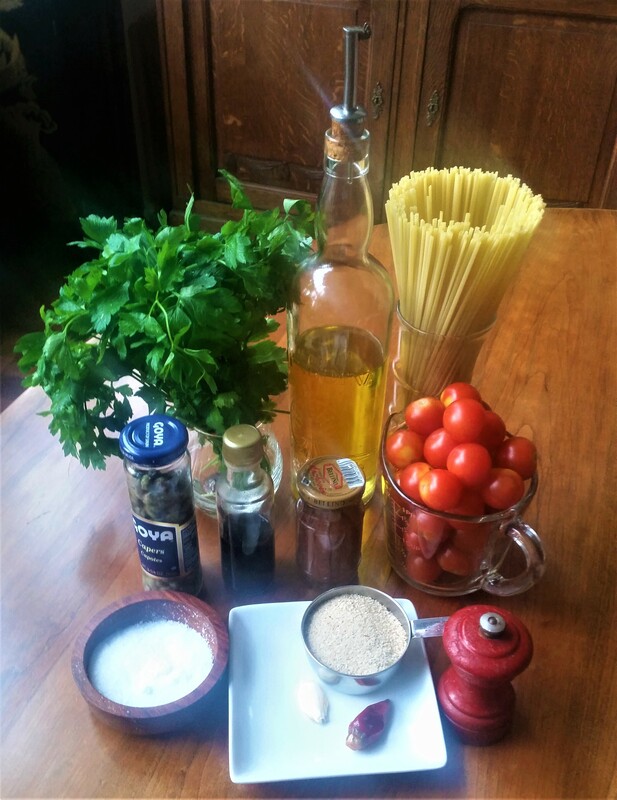 Colatura di Alici is an Italian fish sauce similar to the ancient Roman and Greek garum. Put a pot of salted water on the stove to cook the pasta. Lightly toast the breadcrumbs in oil a pan and set aside. Add more oil to the pan and cook the anchovies until they dissolve. Add the garlic and cook until very lightly golden. Add the chilli and cook briefly. Then add cherry tomatoes and capers. 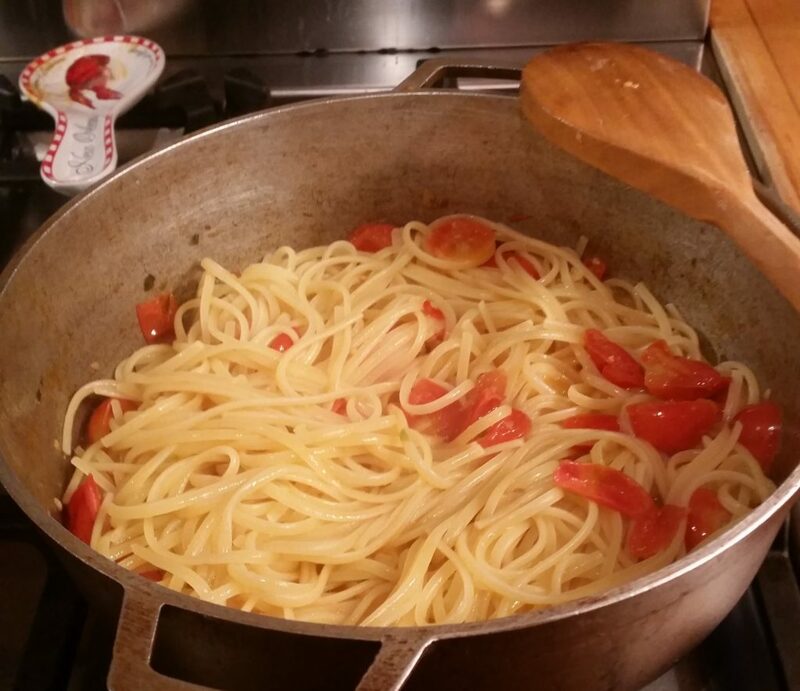 When the pasta is almost done move it from the pot to the pan, adding a bit of the pasta water to the sauce. Mix the pasta with the sauce adding water from the pot as necessary. When almost done, add the colatura di alici, breadcrumbs, and chopped parsley and blend. Taste for seasoning. Anchovies and colature di alici can be salty and you may not need any more salt. No cheese on this one. 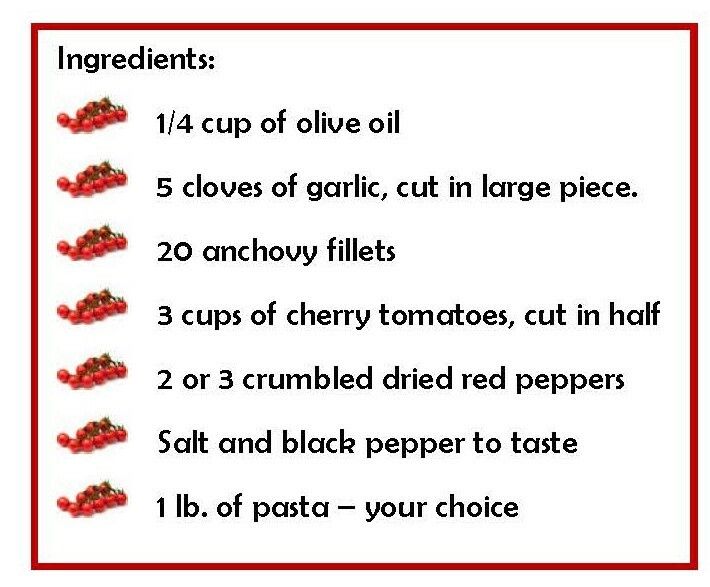 If you have lots of cherry or grape tomatoes to cut in half, here’s a simple and quick way to do it instead of cutting them one at a time. This is a quick one so start by putting about 4 quarts of water with 2 tablespoons of salt up to boil. Heat the oil and add garlic. Simmer on low heat until very lightly browned. 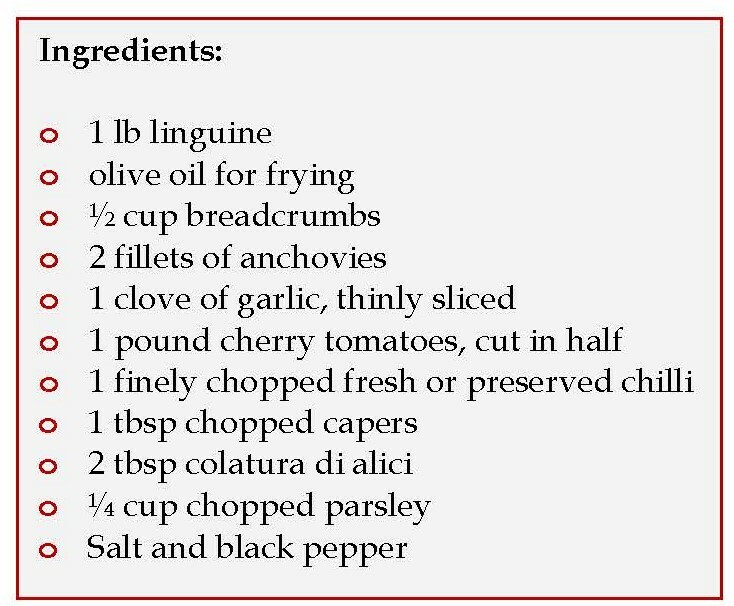 Add the dried red peppers* and anchovies. Stir until the anchovies are dissolved. Add the cherry tomatoes and salt and black pepper. 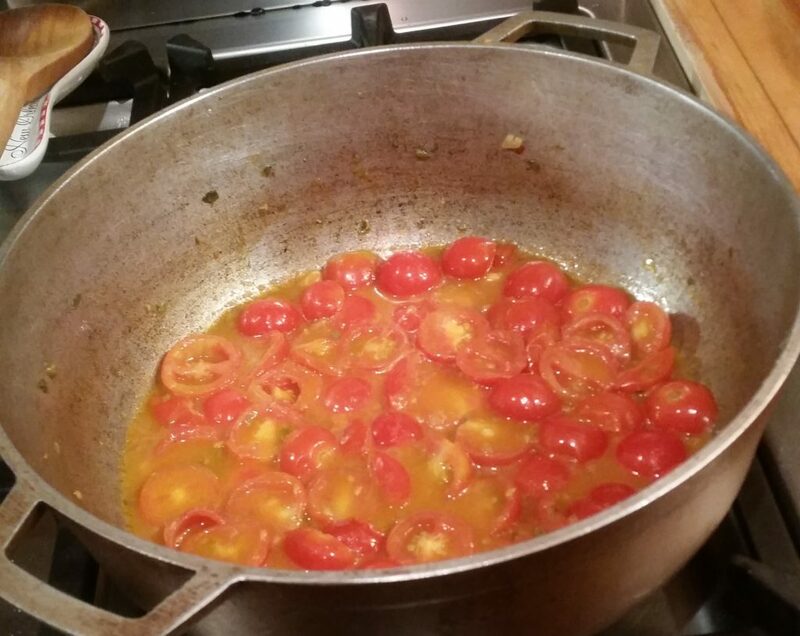 Simmer until the tomatoes release their juices and soften. It should be ready when pasta is done. 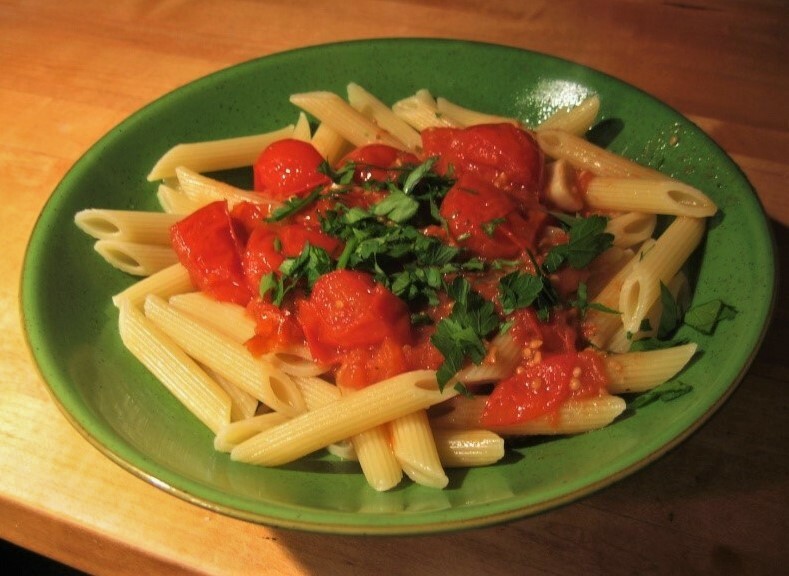 Add some of the pasta water to adjust the consistency of the sauce. 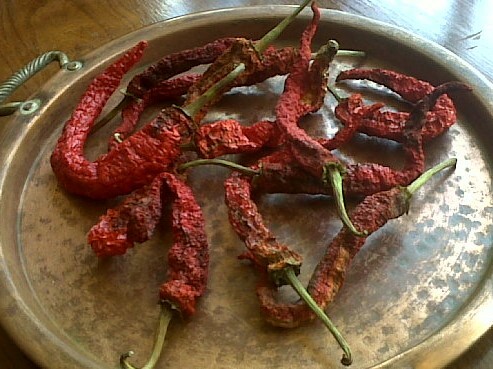 *If you don’t have dried red peppers and don’t have time to make them, use some standard red pepper flakes.